Revival FM began broadcasting full-time on 100.8 FM with an Ofcom Community radio licence on 3 September 2006 to Cumbernauld, Kilsyth, Kirkintilloch and around central Scotland from Falkirk to parts of Glasgow. Revival FM is Scotland’s first full-time Christian radio service. The story of Revival FM goes back to 1995 when a group of Christians in the Kilsyth area of then Dunbartonshire and now North Lanarkshire in central Scotland, met to discuss the possibility of broadcasting Christian radio programmes under the UK Government’s new Restricted Service Licensing (RSL) scheme. This permitted a low power local radio service to air on the FM waveband for a maximum period of 28 days. Two such licenses per year could be granted with a gap of at least four months between broadcasts. The group decided to form Revival Radio Limited, a not-for-profit company through which application to the authorities could be made. The first transmission took place at Easter 1996 from a base near Kilsyth. The success of this broadcast convinced the directors to organise further broadcasts. From 1996 to 2005, a total of 14 RSL broadcasts were transmitted. Christians with radio experience, and those with none, caught the vision over the years and many are still helping Revival FM today. Revival FM produces family friendly radio, with a positive message for the people who form our local community and our wider online internet listeners. Revival FM brings listeners a broad range of positive contemporary music, news, information, interviews and discussion programmes as well as a broad range of specialist programming that meet the interests and needs of smaller groups in our community. Most of the 100.8 Revival FM content is locally produced at the Revival FM studios in Cumbernauld, North Lanarkshire and has a positive message that promotes healthy lifestyle choices. 100.8 Revival FM aims to entertain, inform, refresh, challenge and offer help for today’s world. The 100.8 FM reception area map includes in-car FM listening covering the M80 route from Cumbernauld to Glasgow city centre; the M74 from Glasgow to join the M73 to the M80; the M8 from south Glasgow through Glasgow city to the M73. North of Cumbernauld, in-car reception on 100.8 FM is good on the M876 to the Falkirk area. Please also see the core indoor reception coverage area map below. Do remember, outwith these areas, you can tune-in to Revival FM online from this website and also use the Tune-in app anywhere in the UK. What makes 100.8 Revival FM different? Revival FM is a not-for-profit charity registered with the Scottish charity regulator OSCR – Office of the Scottish Charity Regulator – OSCR Number SC024130. Revival was registered as a charity from 4 October 1995. The majority of the Revival FM presenters and helpers are volunteers. Revival FM actively encourage individuals and community groups to take a positive role in the radio station as part of our commitment to serve our community. We provide a community service through radio programmes, presentation and production. We also participate in community events with organisations and churches. 100.8 Revival FM broadcasts 24 hours a day, 365 days a year. During the day from 7.00am to 12 midnight, Monday to Saturday, Revival FM broadcast predominantly music based programming with some comment. On Sunday we move to mainly spoken programming that is aimed more at the Church audience. The Revival FM vision is to be at the centre of our community generating positive change, affirming positive life choices and promoting hope for the future through relevant radio programmes and great music. Just as our community is diverse, so our playlist reflects this. Revival FM is creating a main playlist which continues to evolve and provides you with a great soundtrack for your life. We avoid playing lyrics that promote negative life choices and detrimental opinions of others so you can listen with confidence. The radio station studio and admin offices are located in Cumbernauld, 15 miles north of Glasgow in central Scotland. The Revival FM signal on 100.8 MHz FM serves the community that surrounds us and has the potential to reach an audience of 125,000 people. We also have a strong following via the internet online platforms with listeners streaming in over 70 countries around the world listening at all times of the day and night. This map illustrates coverage of Revival FM on 100.8 MHz FM within the core indoor reception area. 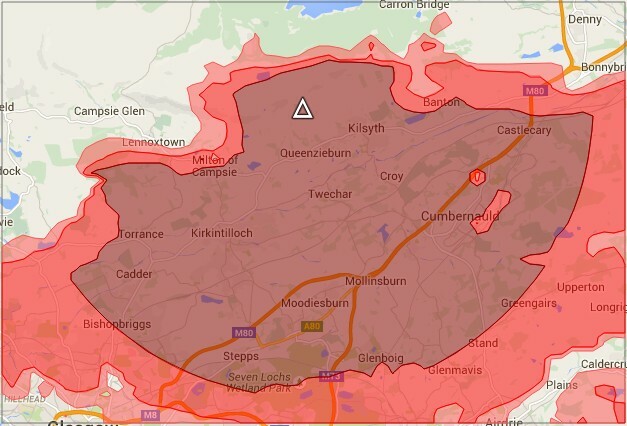 The darker red area has a signal strength of 60 dB and therefore should provide reception on most portable radios and also using hi-fi systems with a good aerial. The red area will also provide good and usable reception. The light pink area is mostly for in-car use and also indoor use with a good quality portable or hi-fi tuner with an outside aerial. There are openings in all areas of our work, some of which are upfront ‘on-air’ broadcasting possibilities, but the majority would be in the essential background work. So what might that look like? 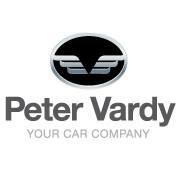 Or if you wish a friendly chat beforehand, gives us a call on 01236 722211. 1995 – A group of Christians meet to look at the possibility of setting up and broadcasting programmes from the Kilsyth area in west Central Scotland. Revival Radio Limited is incorporated as a legal entity (company) on 4 October 1995 with a view to apply to the regulatory bodies to commence broadcasting. Easter 1996 – The first broadcast is made from Kilsyth and over the next nine years, 14 RSL (Restricted Service Licence) broadcasts on the FM waveband are made from the area. July 2005 – After the HM Government introduce Community Radio opportunities for local (non commercial and/or charitable) broadcasters Revival Radio Ltd., applies to regulator Ofcom for a licence. Ofcom duly award a full-time Community Radio Licence to broadcast for five years to commence in 2006. 2006 – Industrial premises measuring 2,200 sq. ft. are acquired at a cost of over £100,000 which is raised through gifts, loans and donations from individuals and organisations in Cumbernauld. The premises are converted into a state of the art radio production, broadcasting and office facility. 3rd September 2006 – Revival FM launches on its newly allocated FM frequency 100.8 MHz offering programming 24 hours a day 7 days a week under a Community Radio licence issued from broadcasting and telecoms UK regulator Ofcom. The original radio station logo is illustrated left. September 2007 – First (and to be annual) Revival FM Fundraising Dinner and Auction in Cumbernauld. 2010 – To help raise funds, Revival FM launches a concert and events division. The concert introduced Alison Durham Speer and also The Gospel Heirs at the SECC in Glasgow. Other artists include: David Phelps, The Hoppers and Greater Vision (all 2011), Ernie Haase & Signature Sound (2012), Jonathan Veira (2011 & 2014), Crimson River (2013 & 2014), The Gospel Heirs (2015) and Philippa Hanna (2016). 2011 – Revival FM are appointed official ticket agent for the Glasgow concert by international artists The Gaithers. Several artists and performers represented by Revival FM over the years. March 2011 – The Community Radio licence is extended by Ofcom for another five year period, thus authorising uninterrupted broadcasts until September 2016. December 2011 – Revival FM launch their seasonal concert spectaculars with Christmas Celebration at The Glasgow Royal Concert Hall. Over the years, additional Easter, spring and summer concerts feature The Celebration Choir and local and international guest performers. September 2016 – Revival FM celebrates 10 years of full time broadcasting and is granted a 5 year extension to its licence from broadcasting regulator Ofcom, taking licensed broadcasts through until at least September 2021. 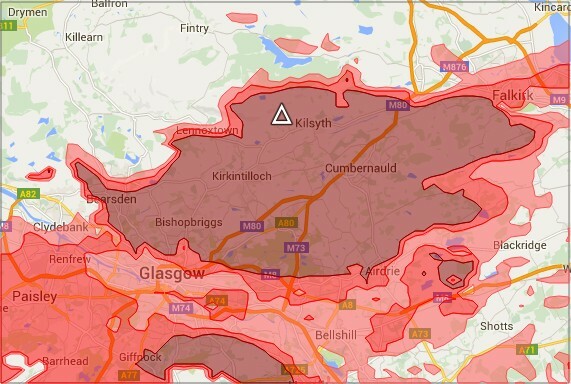 October 2016 – after almost 10 years of transmitting from the residential high-rise tower block Stuart House at an aerial height of 212m asl/aod in Cumbernauld town centre, Revival FM moves its transmitter and aerial on 7 October 2016 to a new site on the Kilsyth Hills on the Campsie Fells at an increased aerial height at 265m asl to improve reception of 100.8 MHz FM. October 2017 – Ofcom, the UK broadcasting and telecoms regulator, invite applications for a new FM licence to cover and serve the City of Glasgow. Revival FM (Glasgow) Limited makes application to Ofcom on the closing date for receipt of applications on Tuesday 24 October 2016. Ofcom is expected to make a decision on a licence award or not in the spring of 2018. Revival FM intends to offer the current programme service and social gain elements to residents of the City of Glasgow and to include a Revival FM studio base in the city centre. Easter Celebration 2019 – tickets now on sale!